Montezemolo's severance from Fiat Chrysler included a non-compete agreement until 2017. ROME (Reuters) -- Alitalia has lined up former Ferrari boss Luca Cordero di Montezemolo as chairman in the new company that will be formed when the Italian airline ties up with Etihad Airways, sources said. Etihad Airways CEO James Hogan will be his deputy. The sources said the two had not been formally appointed because the deal, under which Etihad has agreed to buy 49 percent of money-losing Alitalia as part of a 1.76 billion euro ($2.2 billion) rescue plan, still needs approval from European authorities to be officially signed off. "Yesterday, the board of the old Alitalia designated Montezemolo and Hogan who will eventually be nominated by the board of the new company," one of the sources said on Thursday. Alitalia and Etihad declined to comment. Montezemolo left Ferrari last month after he clashed with Sergio Marchionne, the CEO of parent company Fiat Chrysler Automobiles. 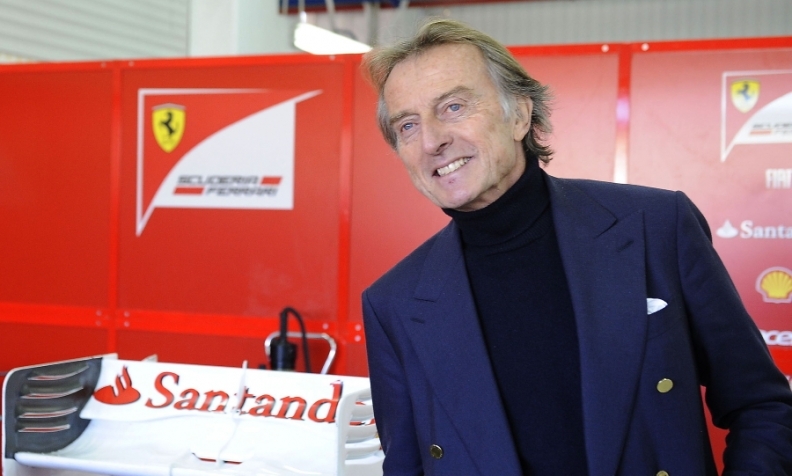 Montezemolo agreed to a severance package valued at about $35 million and included a non-compete agreement until 2017. Montezemolo, who was Ferrari chairman since 1991, wanted to keep Ferrari autonomous, while Marchionne pushed to better integrate the business within Fiat to boost the group's move into the premium end of the car market as it seeks to rival the likes of Volkswagen and BMW. Since the parting of ways, Marchionne announced a plan to spin off 10 percent of Ferrari's shares as an independent publicly traded company. While Montezemolo has long been seen as a candidate to be chairman at Alitalia, the appointment of Hogan as his deputy will likely fall under the scrutiny of European authorities, which require that no airline from outside Europe controls a European carrier. Montezemolo, one of Italy's best connected and most colorful business leaders, who stepped down as Ferrari chairman last month, is seen as a major boost to Hogan's bid to revitalize a brand that he once described as the "sexiest airline in Europe." "Montezemolo is well recognized in business circles worldwide so having him as chairman is definitely a success and will help build a strong brand image," said Andrea Giuricin, a transport analyst at Milan's Bicocca university. The European Commission has said it would decide by Nov. 17 whether to clear the Alitalia-Etihad deal. A union with Etihad will bring Alitalia money to invest in more profitable long-haul routes and make it less reliant on domestic and regional services where it has struggled to compete against low-cost airlines and high-speed trains.